Much has been written about the impact of the proposed Everglades Agriculture Area reservoir on the Caloosahatchee and Indian rivers and the estuaries of our central coasts, but no place has more at stake from construction of the reservoir than the Florida Keys. 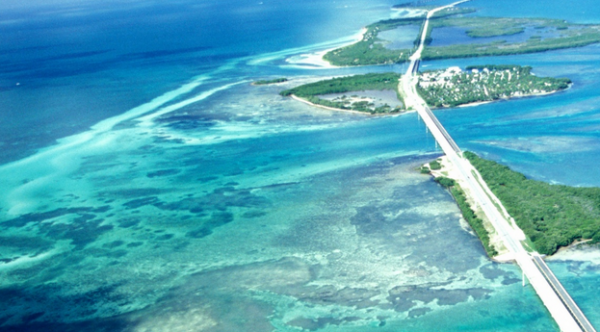 The Keys is a place that is unique, drawing visitors from every point on the globe who come to experience the world-class sport fishing, boating and sailing, diving and scuba in the crystal clear waters of Florida Bay. For those who grew up here in South Florida, their childhood memories are rich with days spent exploring the mangrove forests of the Everglades on kayaks and canoes, and many are lucky enough to have known the thrill of landing redfish, tarpon or snook. Connected to the Florida mainland by a single two-lane highway that can be bumper to bumper even on a good day, the Keys can be challenging to get to, but difficult to leave and impossible to forget. We don’t know how many people visited the Keys by car or boat, but according to statistics compiled by the Key West Travel Guide, more than 366,000 arrived at Key West International Airport in 2016, another 93,947 landed on the Key West ferry and there were 696,000 cruise ship passengers. Each of them spent their dollars here, and many — just like in years before — will return to buy homes and condominiums from Key Largo to Key West as their reward for lives well lived elsewhere. Yet all of it is at risk. Florida Bay now gets just one-third of the fresh water that once naturally flowed south from Lake Okeechobee through the River of Grass, past the mangrove forests and into the bay. The rest has been diverted for use by agriculture and the 8 million people who now populate South Florida.